Since March is my birth month, I went to a spending spree and treated my family for dinner again. 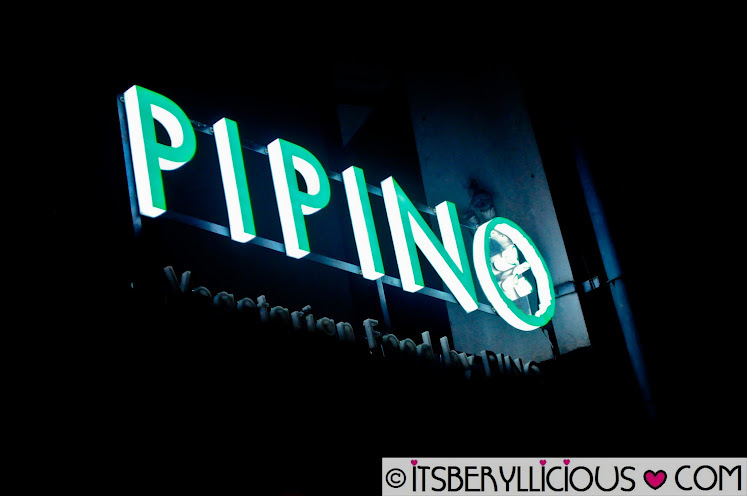 This time, we traveled all the way to Makati for Pipino. I remember the first time I've tried Pipino in Maginhawa/Malingap, I knew right away that it would be something my mom would love to try. I was not sure with my dad though..
Pipino in Makati also shares a space with Pino Resto Bar and is just separated by white "fences". We choose to sit in Pino so that we could order some of their dishes too. I remembered last time when we were told that Pipino dishes could be served in Pino but Pino dishes couldn't be served in Pipino. 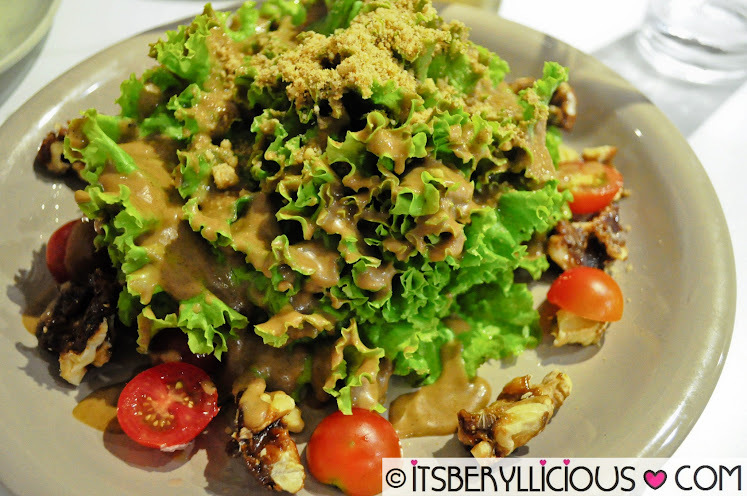 Wicked Walnut Salad (P165)- Mixed organic greens with dalandan balsamic, candied walnuts, cherry tomatoes and walnut parmesan cheese. Remember the Wicked Walnut Salad? I vowed to order this again on my next visit to Pipino and so I did. Fresh and crisp lettuce, the tangy dalandan balsamic dressing, the candied walnuts, the walnut parmesan.. it's basically the same wicked salad I've fallen in love with. I also ordered for these Tofu Lemongrass Skewers again. 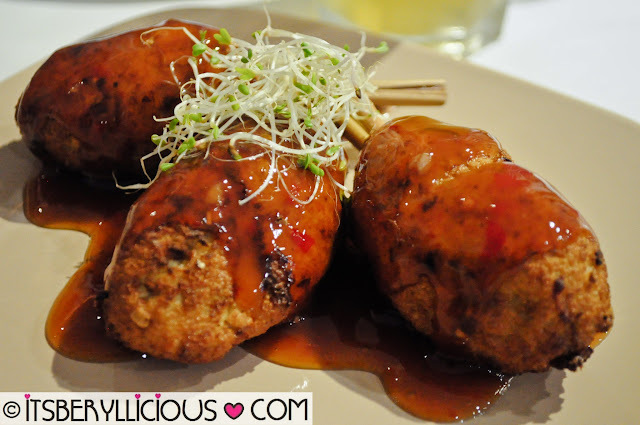 I noticed that the skewers were smaller compared to the last time I've tried it. But nevertheless, it was still good with the sweet chili sauce complementing the hint of lemongrass from the tofu. Not much a fan of this Tomato soup but mom managed to finish the bowl. 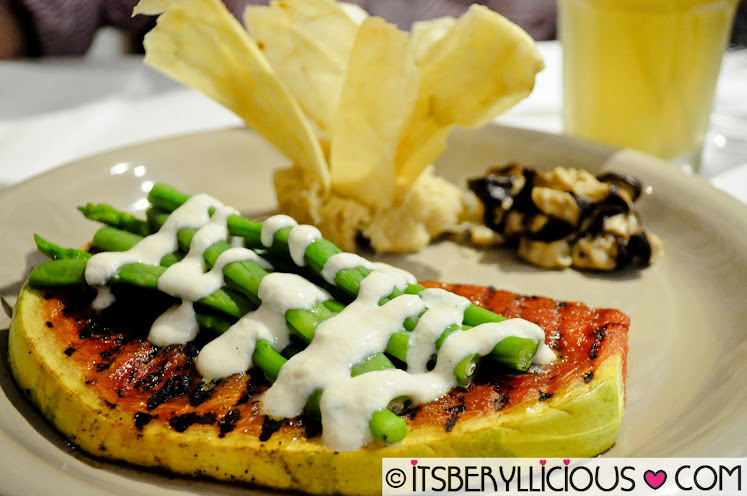 Of course, we could not leave Pipino without ordering their famous Watermelon Steak. This time, I noticed that the watermelon was bigger. I loved the taro chips atop the taro mash, but the taro mash was dry and tasted different from the last time I remember. Still, it's all about the "steak". 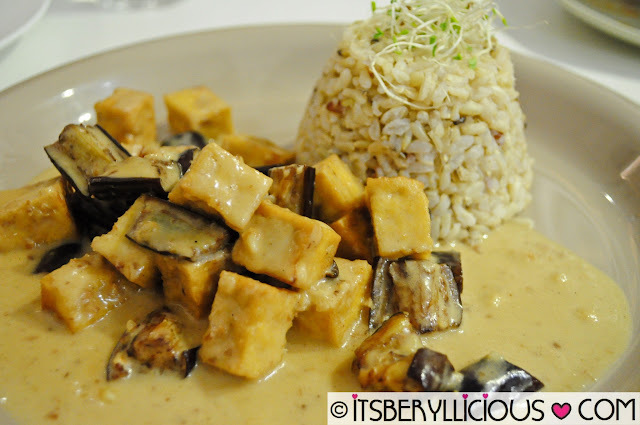 D got the Eggplant and Tofu Miso with coconut cream and served with brown rice. He liked it very much, but I was not a fan of the coconut cream sauce. 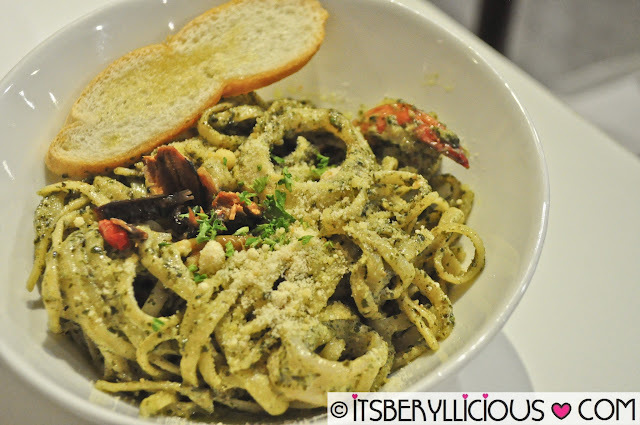 Spicy Tuyo Pesto (P165)- Basil, garlic and pine nut pesto sauce over linguine noodles topped with spicy tuyo flakes. My dad ordered for this Spicy Tuyo Pesto from Pino's menu. The first thing he said was that it was salty.. then I guess he noticed that it was tuyo (salted fish) he was eating. I guess he loved it too since he didn't say anything after he finished his plate. 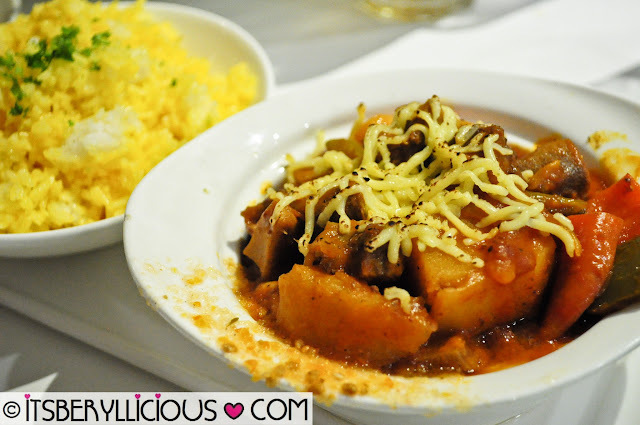 Lastly, my brother got himself an order of Pino's Kalderetang Lengua. It is basically stewed beef tongue served with java rice. We pretty much loved everything we ordered and I'm glad that my family enjoyed their Pino/Pipino dining experience as well. This definitely won't be the last time that we visit Pino/Pipino. Good thing they decided to put up a branch in Makati which is more accessible for us. Wow! Vegies... vegies... but they look good. :) Most of their food are spicy? I'm planning to take the family to pipino for quite some time now. But, we've got a long line of wishlists rin. Can you order from burger project rin ba or not? We've had a scary incident the last time we parked at rizal stadium to eat at burger project taft so I don't think we'll go back to that branch again haha. the vegetarian dishes look good. 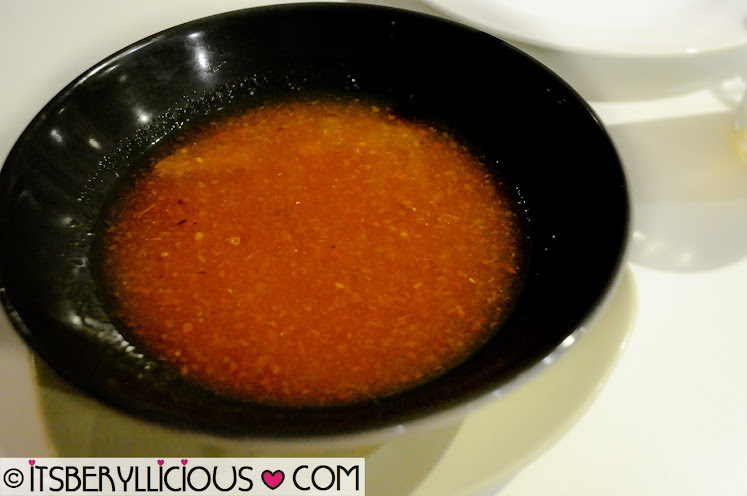 the coconut sauce and other sauces look good as well. Wow I love that they can serve both vegetarian and meat dishes in one place. 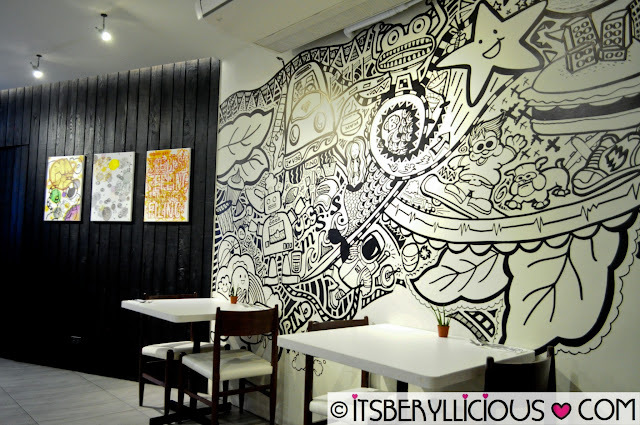 I'm excited to try this one out, good thing it's in Makati now! have been selling. And we remember we now have you to appreciate for that. The food looks great! And the prices are just right (or if not just a little bit over). We parked by Rizal Coliseum because its the nearest parking space available. But, the parking people (apparently high) had a rough fist fight over our slot. We couldn't go out of the car till some people ganged up to pacify them.